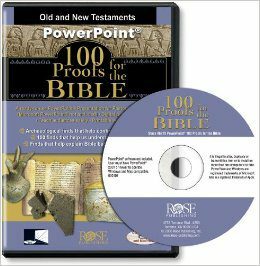 The PowerPoint® presentation of 100 Proofs for the Bible allows users in churches, Bible studies, and Christian schools to examine 100 key archaeological finds that support the veracity of the Bible, shed light on the culture and customs, and help us understand the people of the Old and New Testaments. Printable worksheets are included. Slide may be printed as handouts.